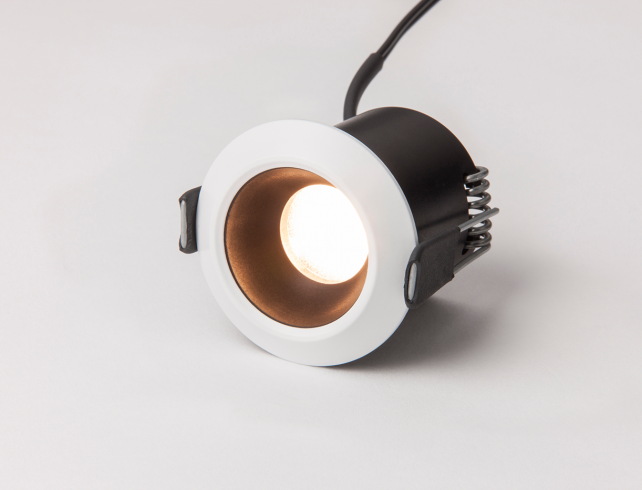 The ULD3 downlight utilises a Cree LED and carries the added benefit of being adjustable. 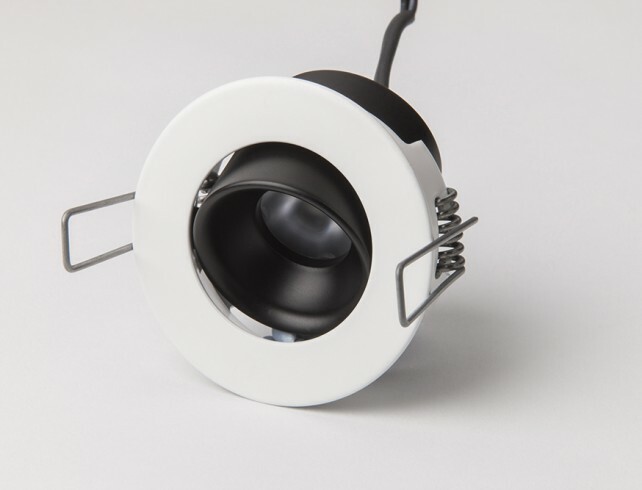 The versatile fitting which can tilt up to 27°, and is supplied with a choice of beam options to allow you to direct the light exactly where it is needed. 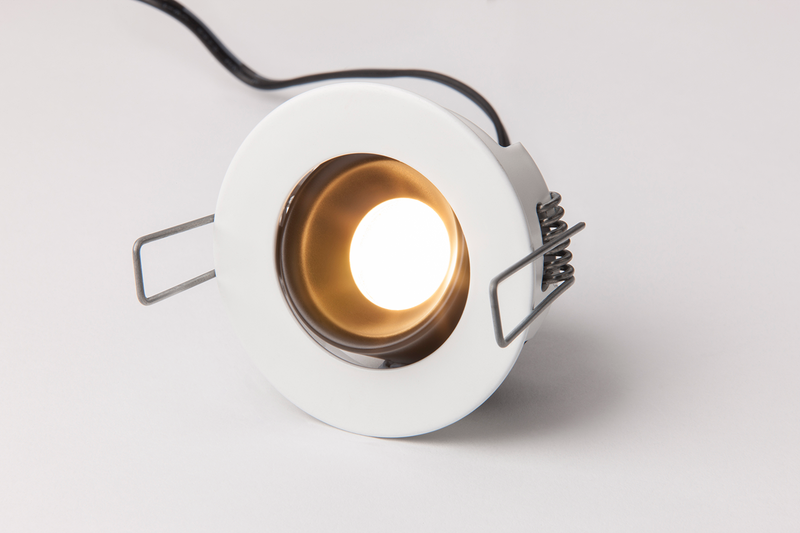 Available in a range of colour temperatures with a high colour rendition and multiple methods of dimming, the fitting is ideally suited for indoor use in residential and architectural sectors amongst others. It features a thin bezel of 54mm in diameter and can be supplied in a choice of colours to complement a host of décor requirements. With its spring clip mounting system and narrow recess depth of 31mm, the ULD3 can easily and quickly be installed in the shallowest of spaces. 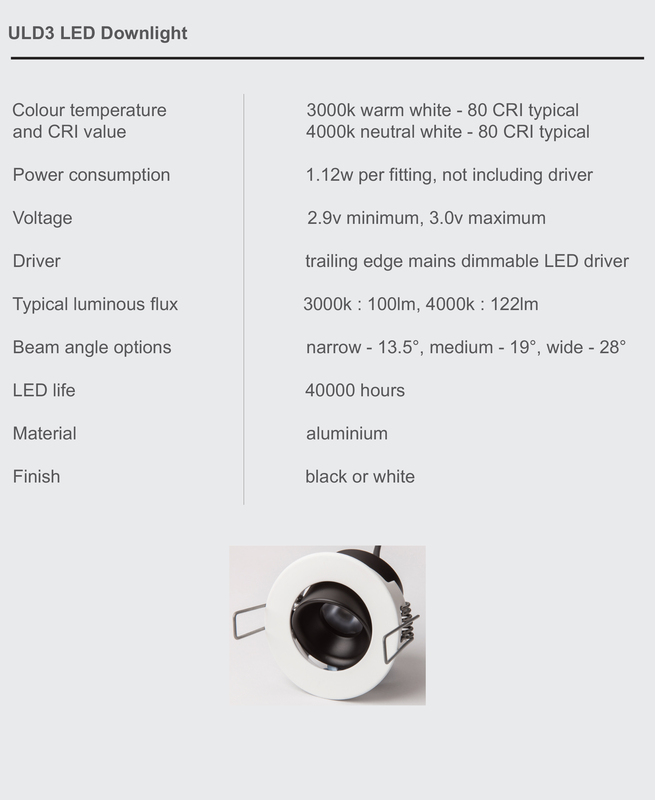 With this Add On Fitting option are purchasing only the downlight fitting. 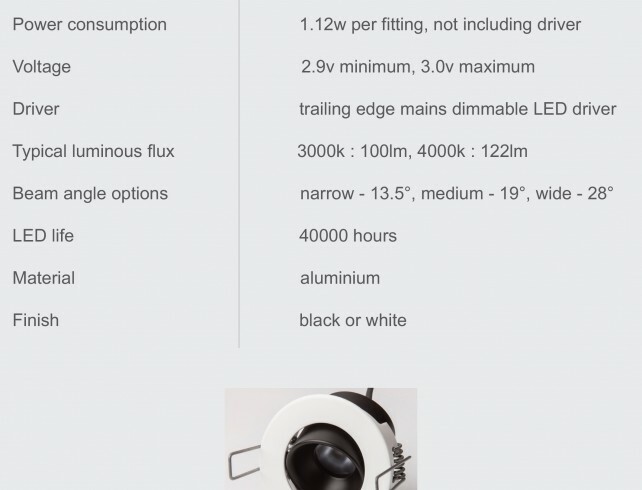 The mains dimmable LED driver and splitter box are not included. 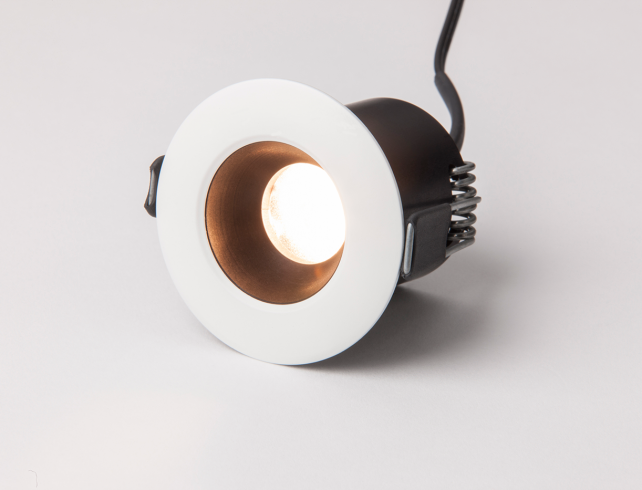 Category: New Range Luxury LEDs.